Vidmantas Valiušaitis. Why is Kazys Škirpa being vilified? "What's to become of Škirpa Avenue? It's clear to everybody that this hound of Hitler's was the main harbinger of the mass killing of Jews in Lithuania and therefore any service he did for Lithuania makes no sense" posts fiction writer Marius Ivaškevičius on his Facebook page. But let's get back to Kazys Škirpa. In light of facts and documents let's attempt to answer the question: who then are Lithuania's traitors– Kazys Škirpa or his vilifiers? "Kazys Škirpa was always a person of struggle, action and decision. He was a typical leader who had the qualities of a leader and more but due to circumstances they did not manifest themselves completely" wrote Grigas Valancius (1906 - 1978), an economist who was a student at the universities of Brussels, The Hague and Vienna, an advisor on the economy of the Klaipeda governate, a younger generation peer of Kazys Škirpa and later a prisoner in a Nazi concentration camp. "Let us raise the flag on the Hill of Gediminas (1919), it's of no importance that enemy armies are at the gates of Vilnius, let us reject the Polish ultimatum (1938), let us be the first to march into Vilnius (1939) before all of the others (Soviets, Germans) reach it. Let us create an independent state whether the Germans let us or not (1941) etc. Those were the challenges and actions of Kazys Škirpa. The writer notes that a delay in deciding or making up one's mind is the biggest weakness of each (political, military or business) leader. On the other hand, a "quick decision and action is the basic quality of each leader. A bad decision and unsuccessful action are better than passive resignation and inaction"
Leaders are more often criticised, not for wrong decisions and unsuccessful actions but for passivity and inaction. The logic of deciding, the expediency or justness of an action is revealed within the perspective of time. The painful defeat of Vytautas the Great at the Vorskla or Napoleon's rout at Waterloo in 1815 do not eclipse the greatness of those leaders notes Valancius. The then British Prime Minister Neville Chamberlain's appeasement in Munich in 1938 was swiftly condemned and the blatant indecisiveness of subsequent leaders (Roosevelt at Yalta and Truman at Potsdam), "for a long time ensnared the battleships of the West's political struggles". Kazyz Škirpa was the only Lithuanian diplomat bold enough to visit a Lithuania already occupied by the Bolsheviks. "After arriving in Kaunas on the 25th of June" as he writes in his book "The Uprising to Restore Lithuania's Sovereignty" (Washington, 1973) and which to this day "nobody dares" to republish in Lithuania, "I heard there from everyone, with whom I happened to discuss politics, the same opinion in that Lithuania's salvation from Soviet claws would be possible only if Hitler turned his military forces against the Slavic east to destroy the Bolshevism that had taken root there. Everyone had long forgotten the opium of neutrality with which the Smetona government had paralysed Lithuania's initiative to save itself from catastrophe". One of the most important people with whom Kazys Škirpa met in Kaunas was Vincas Krėvė-Mickevičius, who had explicitly agreed to be the Deputy Prime Minister and Foreign Minister in Justas Paleckis's puppet government. After several days however Kreve realised where he'd ended up and that there was no way of at least being able to mollify the consequences of and stop Lithuania from being incorporated into the Soviet Union: his role in the 'government' was exclusively 'decorative', a cover to be played out because he had no power to make decisions. He soon left. But prior to that, after the conversation with Škirpa, he did something good even though at great risk to himself: he transferred a large sum of money to the mission in Berlin in order to organise work on saving Lithuania. The Minister of Finance at that time was Ernestas Galvanauskas, a Lithuanian patriot, former prime minister and finance minister in the government of independent Lithuania; at the beginning of July he also left Paleckis's "government". Already persecuted by Sniečkus' security, Galvanauskas made a hurried departure to Klaipeda which one year before had become a part of Germany, thereby saving himself from his NKVD "friends" who with ever more intensity were seizing Lithuanian patriots and throwing them into prison. Before that he even managed to approve Kreve's financial transaction. During his four-day stay in Kaunas, Kazys Škirpa met with various people (Gen. Antanas Gustaitis, Col. Jurgis Bobelis, Col. Juozas Šarauskas, Col. Petras Saladžius, Col. Lt. Engineer. Antanas Novickis, Col. Lt. Petras Gužas, the lawyer Prof. Tadas Petkevičius, the Ministry of Foreign Affairs information centre's "key" person Jonas Joblonskis etc.) with whom he discussed matters regarding the organisation of a resistance front to the occupation . The Lithuanian security headed by Antanas Sniečkus and under the direct control of the NKVD, soon caught on that Škirpa's presence in the occupied country was a danger to the Bolsheviks and tried to apprehend him. Sniečkus' security were already crawling around Col. Guzas's home in which Škirpa had been staying. He effectively managed to disappear and find another place to stay. He hid until dusk at a "friend of the struggle from his time as the military commander of Vilnius in 1918". "Thanks to his skilful efforts I managed to get a ticket in a sleeper coach under another name and I went, not through Virbalis as I usually did, but the round-about way through Kretinga. I didn't board the train at Kaunas. I caught up with it by car and boarded at Jonava, around midnight" – writes Škirpa. "In this way, avoiding the eyes of the security, I was able to reach Kretinga without any problems; I smoked a few cigarettes at Kretinga train station to calm my nerves while waiting for the train to take me across the Lithuanian-German border, which I crossed as per the normal procedure with the border police officials on both sides and formal certificates in this regard in my diplomatic passport". That was in the early morning of the 30th of June 1940. Covering his tracks thus and saving himself from the NKVD dogs (a completely apt word here - Vidmantas Valiusaitis) unleashed by Sniečkus, he bade farewell to Lithuania whose freedom he'd never see again. It was completely clear to him what was happening in Lithuania. Perhaps it was clearer than to any other member of the Lithuanian diplomatic corps abroad because in the first days of the occupation people like Vincas Krėvė-Mickevičius and Ernestas Galvanauskas held up the cover of illusion for Lithuanian citizens abroad who hadn't felt the teeth of the NKVD. There would be hopes that maybe there'd be calls from Moscow to give Lithuania at least the status of Mongolia. When Kreve and Galvanauskas left however even that pretence vanished. On the 11th of July 1940 Škirpa sent a coded telegram to Stasys Lozoraitis, the Lithuanian envoy in Italy who was appointed Chief of Diplomacy abroad by minister Juozas Urbšis, in the event that "we're faced with catastrophe". 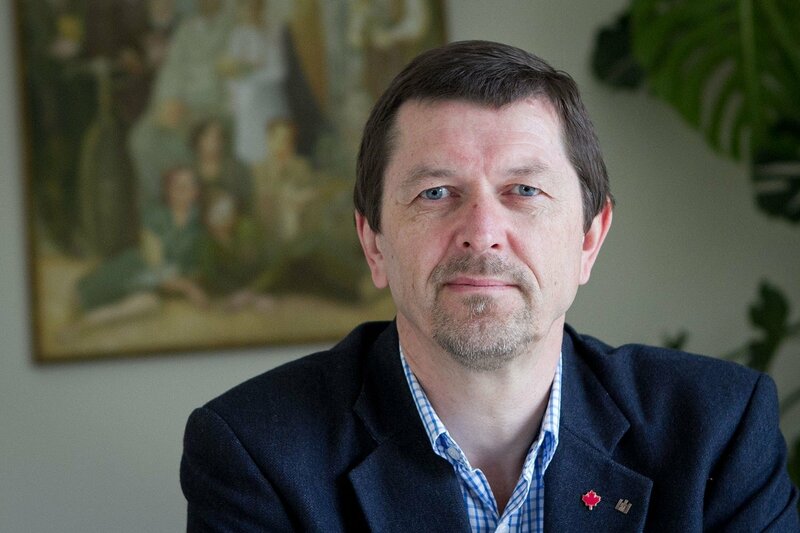 Kazys Škirpa writes "There is a danger that the Seimas elected on the 14th of July will hastily be convened to discuss Lithuania joining Soviet Russia. In view of this, when that happens it will be necessary to instruct all Envoys: first of all, to inform the Governments where they are accredited that the elections took place under the boots of the Red Army; secondly, that the instruction cannot be considered legal because no true will of the people was expressed; thirdly, to protest the violation of Lithuanian independence; and fourthly, to request that the joining not be recognised. There wasn't a single representative of the Republic of Lithuania in any foreign state that broke their oath of allegiance to their country and started serving the so-called "people's government" used as a tool by the occupier. All of the Lithuanian envoys made formal protests to the governments of the countries in which they were resident against the force used against Lithuania and requested them not to recognise the occupation. Immediately after the "people's parliament" voted to join Soviet Russia and become a terrible province of its army, bureaucracy and special councils, Škirpa on the 22nd of July 1940 telegraphed the Ministry of Foreign Affairs of Lithuania, manned now by Moscow's henchmen: "I consider the current Seimas as elected under foreign military occupation and the pressure of a foreign government, suppressing all but the opinion of the communist party, to be incompetent to express any matters with respect to the true will of our nation. I protest the instructions given on the 21st of July establishing in Lithuania a Soviet regime and to incorporate Lithuania into Soviet Russia and in doing so destroying the independence of the Lithuanian state. I consider the said instructions, which were endorsed by an incompetent body and which are hostile to the constitution of our country and the interests of our people and state, unlawful with respect to our nation, state and to me, a legitimate representative of the independent state of Lithuania. Of my own free will. Škirpa". "Kazys Škirpa's Lithuanian citizenship revoked" – was the headline on the 26th of July 1940 of the communist daily "Tiesa". 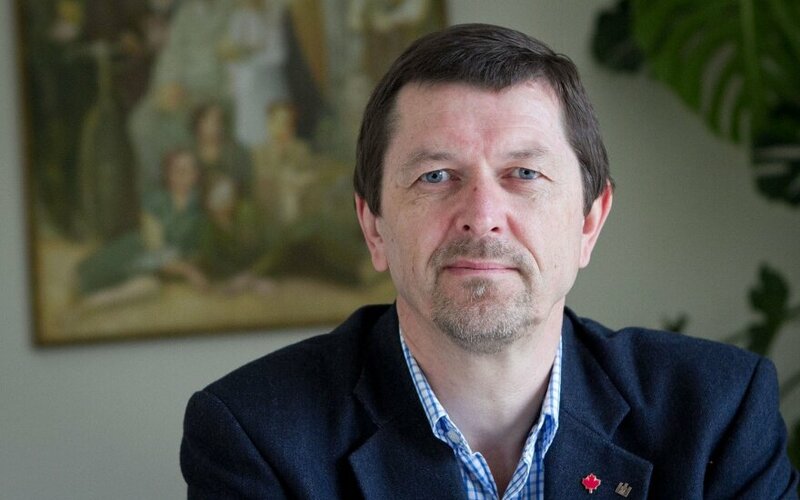 The report indicates that on the 25th of July "by the decision of the Council of Ministers, the Lithuanian citizenship of Kazys Škirpa, the former envoy of Lithuania in Berlin, has been revoked and he is prohibited from ever returning to Lithuania". The report added that "By the act of the President of the Republic, Kazys Škirpa has been removed as envoy and authorised minister of officials to Germany. The affairs of the envoy have been handed over to the envoy advisor Juozas Kajeckas". Few people know the communist Pijus Glovackas who took over the Ministry of Foreign Affairs, replacing Krėvė-Mickevičius. He wasn't even appointed minister but merely an official of "temporary duties" because it was not possible to find a person of more standing to perform the duty of a "liquidator". And it made no sense anyway: that "ministry" operated until the 3rd of August only which was the formal end of the process to incorporate Lithuania into the Soviet Union after a vote by the Supreme Soviet of the USSR. After receiving Glovackas's communique on the decision of Moscow's deputies, Škirpa made his opinion known in a reply telegram: "In my telegram number four zero zero seven I expressed my protest against the treacherous instructions of the communist Seimas of the twenty first of July. As a fully-fledged citizen of Lithuania, the first volunteer creator of our army who devoted his life to the independence of Lithuania, I have full right and moral basis. Your telegram number zero nine sent to the Moscow delegation to relinquish Lithuanian independence shows that the current Council of Ministers are in solidarity with the said instructions. I object to this conduct of the delegation as it is unquestionable treason and I consider that the current Council of Ministers likewise terminate their mandate to act in the name of the independent state of Lithuania. I hence I consider the decision to relieve me of my duties as the representative of independent Lithuania and its outrageous revocation of my Lithuanian citizenship illegitimate acts having therefore no legal force. Škirpa". That same day the information services of Germany, at that time a "partner" of Stalin's Russia in accordance with the Molotov-Ribbentrop pact, distributed a report to the effect that "Russia's seizure of the three Baltic States – Lithuania, Latvia and Estonia - is an affair of those four countries only but also reported that the ministers of those three states could remain in Berlin". That in itself proves that Lithuania's minister in Berlin, Kazys Škirpa avoided arrest by fleeing Lithuania timeously. He resisted emphatically the "decision to link Lithuania to Russia". "It was at night that one of his friends reported that his arrest was imminent. Taking along a revolver, Škirpa fled swiftly to Germany". According to those same Germans "the envoys of Lithuania, Latvia and Estonia would be handed over to Russia at a suitable time, but all three ministers, it is believed, will remain in Berlin as emigrants. All of them protested the sovietisation of their countries". On the 30th of July Glovackas sent another telegram to Berlin: "Dear colleagues, your former head Škirpa has become a traitor to his fatherland. Do not listen to him and banish him from your midst. Do not believe the lies being spread about our government and the Seimas: they are there by the will of the people and function as required by the vital interests of the country. All loyal civil servants are guaranteed decent work and livelihoods in Lithuania". Kazys Škirpa was declared a "traitor to the fatherland" long before the formation of the Lithuanian Activist Front (LAF) and the uprising of the 23rd of June 1941. It's not incredible. It's simple logic. What's also incredible is that after 27 years of freedom, on the eve of 100 years of the independent Lithuanian state, the person who was the first to raise the flag in Vilnius is being so viciously and unfairly attacked. Yet the stereotypes that Antanas Sniečkus and his cohorts of hangmen moulded are still as popular as ever and resonate so powerfully when it comes to public appraisal today. Kazys Škirpa's actions in defending the Lithuanian mission in Berlin from being seized by the Soviets, his role in the creation of the LAF and in the June uprising will be dealt with in the next article. Kazys Škirpa. The Uprising to Restore Lithuania's Sovereignty (Sukilimas Lietuvos suverenumui atstatyti). – Washington, 1973. – pg. 16. Kazys Škirpa. The Uprising to Restore Lithuania's Sovereignty (Sukilimas Lietuvos suverenumui atstatyti). – Washington, 1973. – pg. 24.